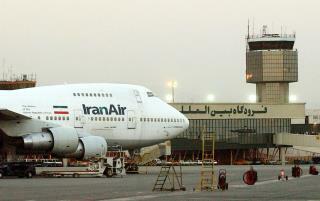 (Newser) – Iran said Sunday it has finalized a $16.8 billion deal with Boeing to purchase 80 passenger planes, reports the AP, a deal made possible by last year's landmark nuclear deal. The state-run IRNA news agency said 50 Boeing 737s and 30 Boeing 777s would be delivered over the next decade, in the biggest agreement to be struck with an American company since the 1979 revolution and US Embassy takeover. In September, Washington granted permission to Boeing and its European competitor Airbus to sell billions of dollars' worth of aircraft to Iran. The US and other world powers agreed last year to lift crippling sanctions on Iran in exchange for it curbing its nuclear activities. President-elect Donald Trump and several GOP lawmakers have criticized the deal, but it's unclear whether they would scrap the agreement, which was reached with Britain, France, Germany, Russia, and China. Nothing like Obama to make a deal so that Iran can have a more efficient terrorist state.